THEOVUN: What is the origin of the name Darq? THEOVUN: *laughs* That’s cool man, good choice. DARQ: [and to elaborate]…the whole definition of darkness is the absence of light, and I embrace that as a lifestyle and mind state, because that’s how we’re living. We came up, thats the whole concept, you know-the struggle. THEOVUN: That’s real talk. 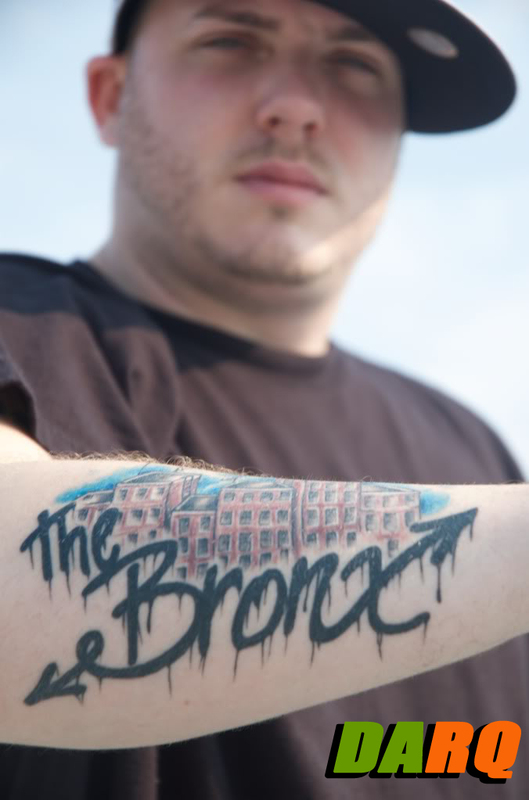 You’re from the Bronx- what neighborhood you reppin? THEOVUN: I like that, solidarity. How long have you been rhyming? DARQ: I been rapping since I was 11, but I started doing it seriously in 2000. I was going hard when I found out I was having my daughter. Then i grinded for the first 5 years in Philly and in 2005, I got picked up by Too Much Entertainment and then from there we started building a name and getting me groomed as real artist. [that brings you] to now, we working on developing and building me as an artist. THEOVUN: Artist development, I feel you. Where have people seen you perform or where can they see you?